The best way to sample a colour and see if works in your space is to use a test pot - available for almost every brand on Designer Paint. 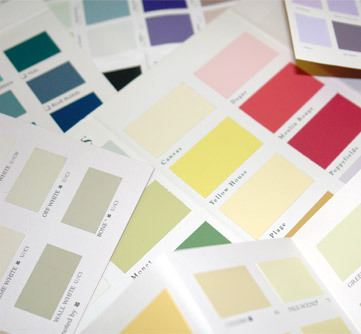 The next best reference is the colour card. We’ll send you your choice of up to two colour cards completely free, and you can have as many as you like beyond that at just £0.75 each.